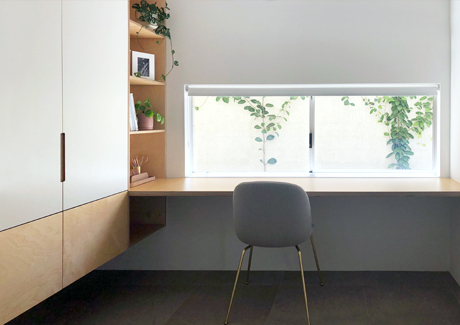 The Office & Storage Cabinet was custom built to span the full length of the upstairs hallway, incorporating storage and a dedicated desk space. 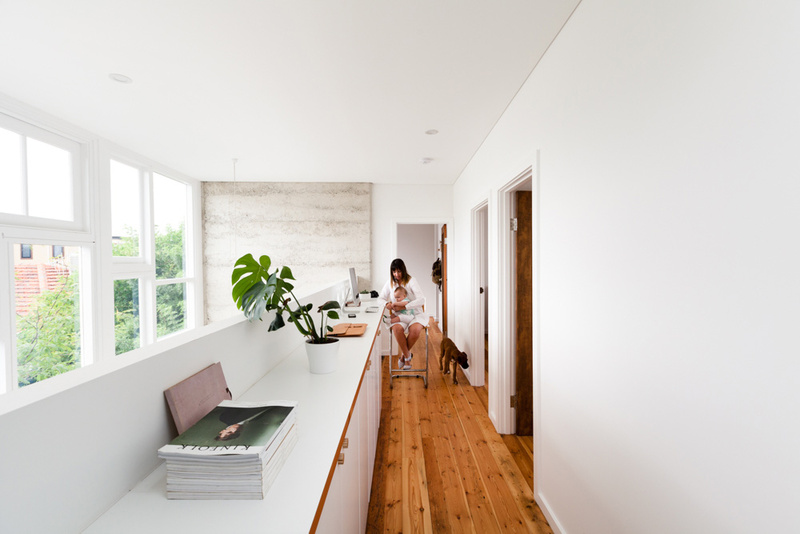 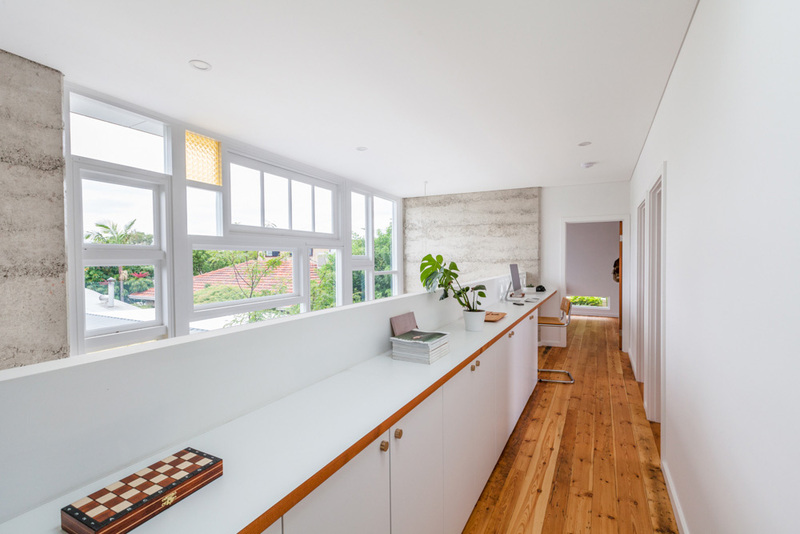 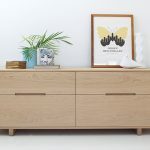 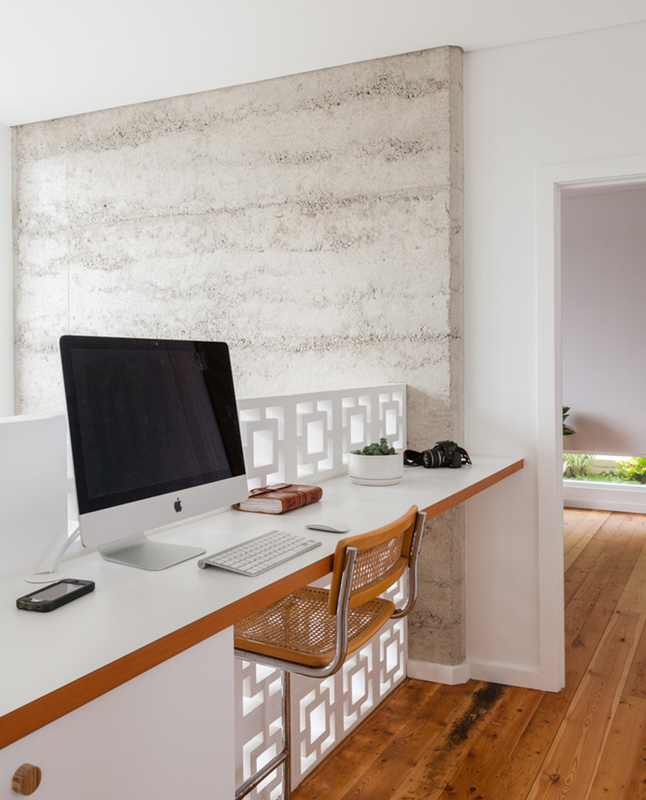 A fresh white benchtop and doors are crisply contrasted with the warmth and grain feature of the recycled Oregon edging. 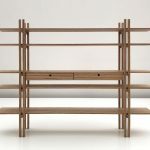 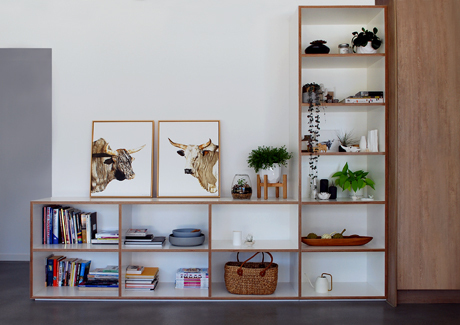 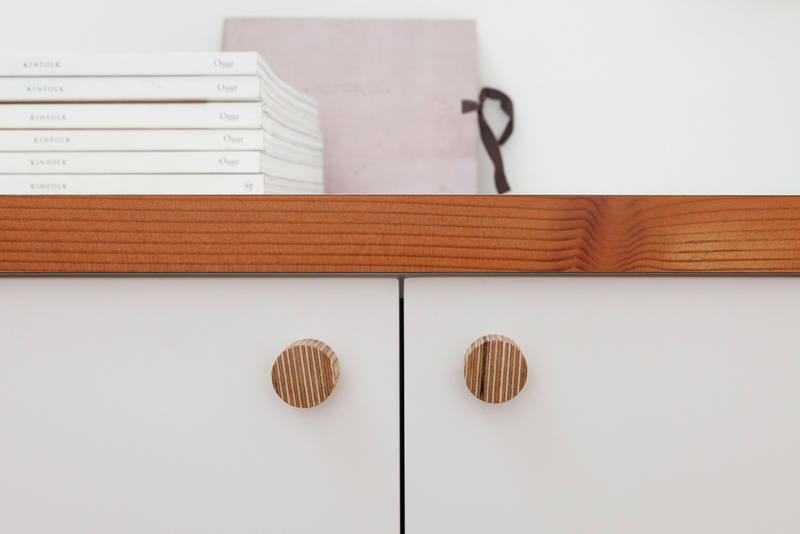 Custom turned Plywood Handles further add to the simplified, modern and natural look.